Looking for cotton flower girl dresses that are ultra cute & comfy? They’re here! Before you read more, be Instagram buddies with us. That’s where you’ll find the latest happenings around the office & on the blog! Great question, Erika! 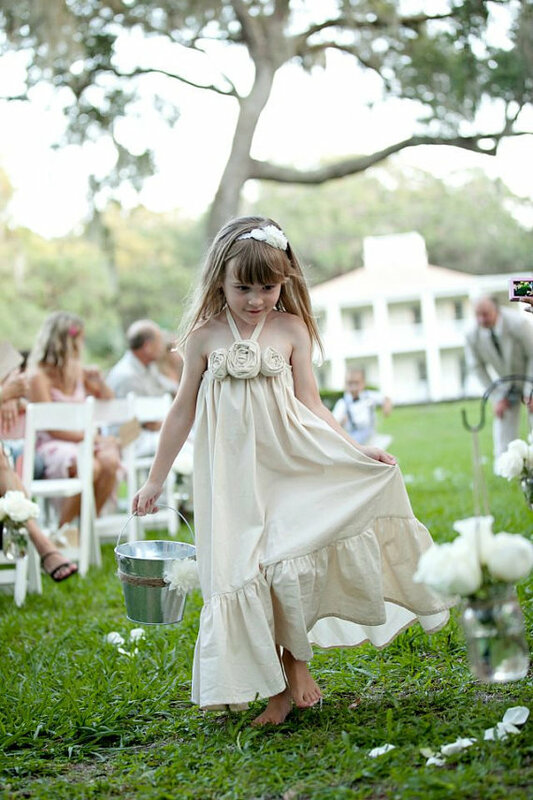 It’s a great idea to plan ahead and thoughtful to think of your flower girls being comfortable. When it comes to an outdoor wedding, something comfortable they can move around in is key. 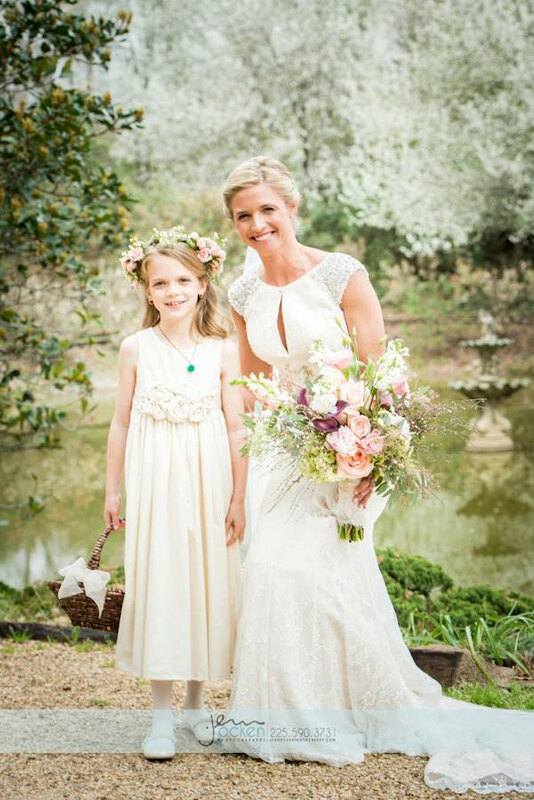 One of our favorite flower girl dress options for rustic weddings is Olive and Fern. 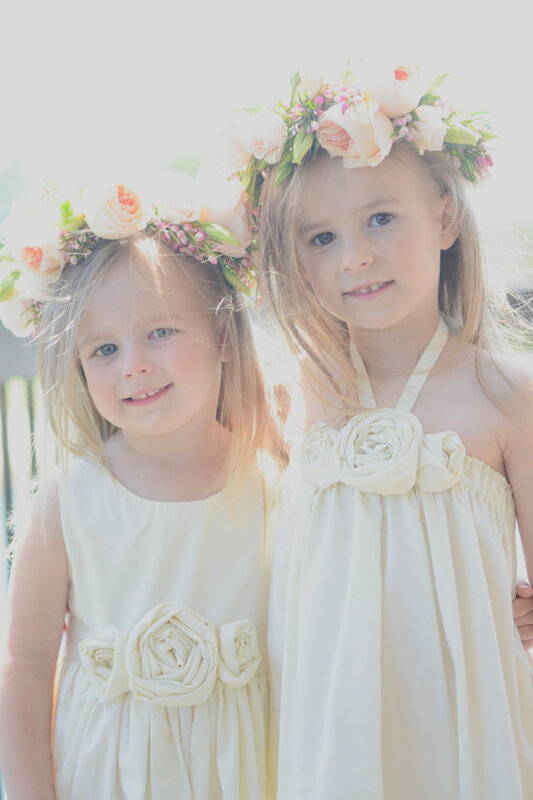 The cotton flower girl dresses from Olive and Fern are handmade from Eco-friendly natural cotton in ivory. Your flower girl will love to wear her dress because it’s so comfortable. For an outdoor wedding, comfort is essential: you won’t want her to get itchy from layers of scratchy tulle underneath or get too hot from synthetic, non-breathable fabrics. These dresses can be worn in nearly any season (spring or summer recommended; fall is great with a light cardigan). The natural styling allows for coordination with nearly any theme, with rustic being our favorite choice for this style. And, in case you’re wondering… they’re totally twirlable. 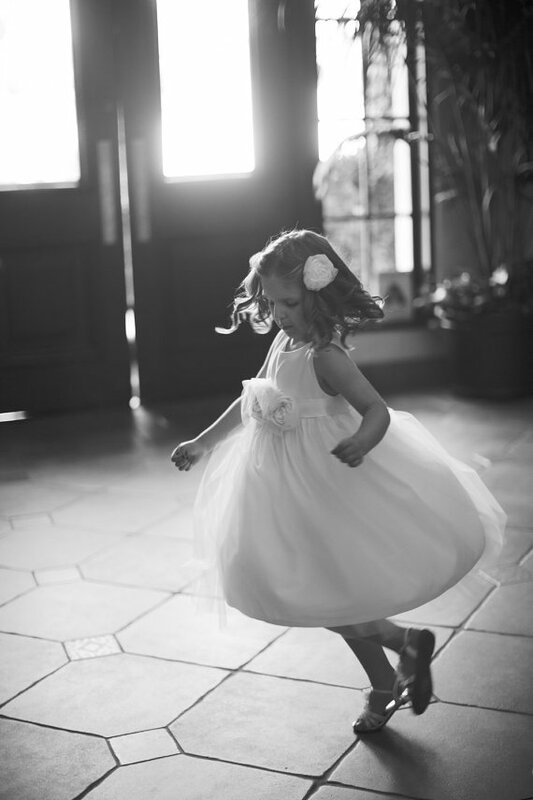 Because, let’s face it, as a flower girl, twirl-ability is pretty much a deal-breaker. Here are four handpicked dresses we know would work extremely well for your big day. 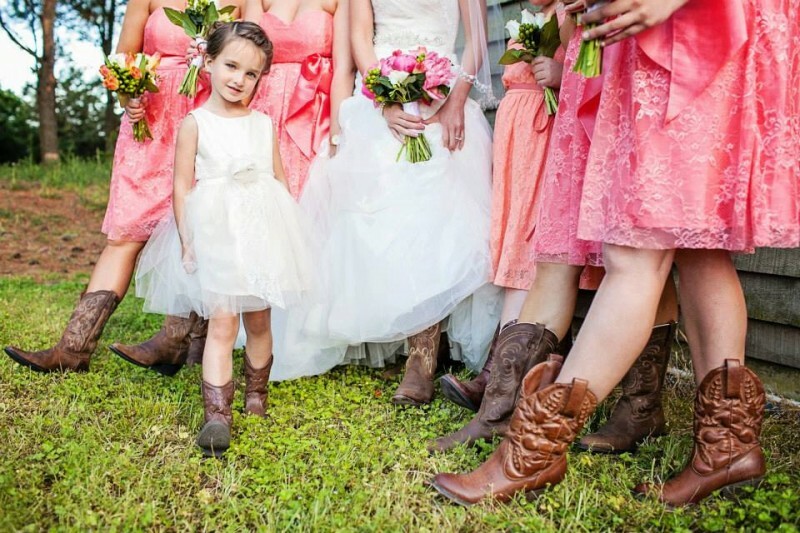 Getting boots for your bridesmaids? Don’t forget about these for your flower girl! Which of these dresses is your favorite? You can find out more about these (and see dozens more) at Olive and Fern. What do you think of these cotton flower girl dresses? Do Flower Girl Dresses Have to Match?